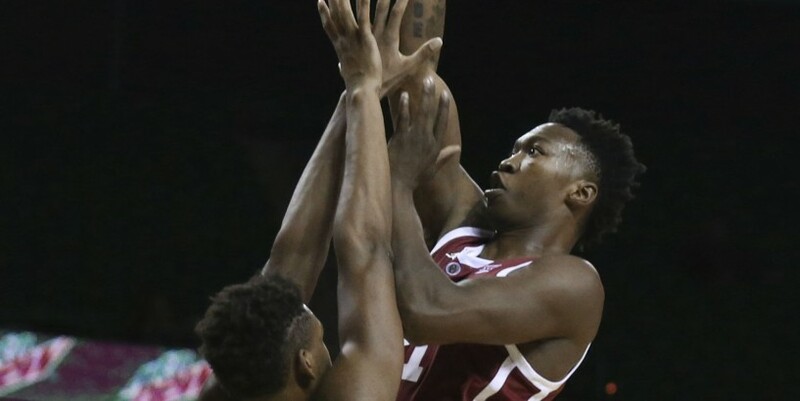 WACO, Texas (AP) — Devonte Bandoo scored 19 points and Baylor ended a two-game losing streak with a 59-53 victory over Oklahoma on Monday night. Bandoo was 5 for 7 from 3-point range to lead a Baylor bench that outscored Oklahoma's reserves 24-7 to sweep the season series. The Bears won the first meeting 77-47 on Jan. 28 in Norman, Oklahoma.